Criminal Justice Theory examines the theoretical foundations of criminal justice in the modern era, whilst also considering legal philosophy and ethics, explaining criminal behaviour, and discussing policing, the court process, and penology in the context of contemporary socio-economic debates. 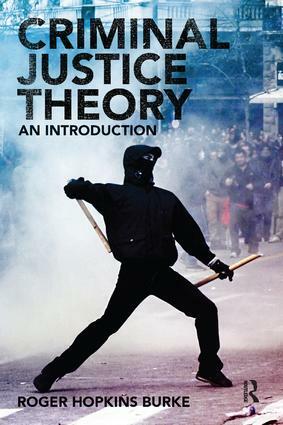 Throughout the book, a realist theoretical thread acts as a guide interlinking concepts of social progress, conflict, and cerebral models of criminal justice, whilst also recognizing our collusion in the creation of an increasingly pervasive culture of socio-control which now characterizes contemporary society. The complex theoretical issues tackled in this book are addressed in an accessible style, making this a relevant and comprehensive introduction to criminal justice theory for students on a wide range of undergraduate criminal justice modules. It is also a helpful guide for those commencing postgraduate studies in the disciplines of criminal justice, criminology, and law.